Why choose MyTub for worcester oil boilers? MyTub service is second to none in the UK, no other company aims to fulfill your requirements like MyTub does. We have fully trained and experienced staff ready to take your order, find the nearest branch with the goods ready on the shelf to deliver to your address and ensure you get your order delivered to you as quick as humanly possible. We keep you informed of the progress of your order, good or bad news. Our experienced team offer pre sales service to answer any questions you have relating to the products by liaising with the manufactures. All our worcester oil boilers products are genuine branded goods. If the item is in existence and on a UK shelf we will source it for you, in some cases when the part has even been obsolete for quite some years. Contract pricing and quantity discounts available on worcester oil boilers, our contracts department can also aid in specification if needed. This greenstar heatslave oil-fired combi boiler, 7716100097, is designed to provide multi points mains fed domestic hot water and central heating, one great feature of this boiler is its instantaneous .. This greenstar heatslave oil-fired combi boiler, 7716100098, is designed to provide multi points mains fed domestic hot water and central heating, one great feature of this boiler is its instantaneous .. This greenstar heatslave oil-fired combi boiler, 7716100099, is designed to provide multi points mains fed domestic hot water and central heating, one great feature of this boiler is its instantaneous .. This greenstar utility oil-fired floor standing boiler, 7716100101, measures 370mm wide by 600mm deep by 855mm high and is an economical boiler with a sedbuk rating of band "a", it is usually installe .. This greenstar utility oil-fired floor standing boiler, 7716100104, measures 520mm wide by 815mm deep by 1012mm high and is an economical boiler with a sedbuk rating of band "a", it is usual .. This greenstar camray oil fired boiler, 7716100105, measures 370mm wide by 600mm deep by 855mm high and has a sedbuk rating of band a, it has an efficiency of 93.1%, where standard boilers only achiev .. This greenstar camray oil fired boiler, 7716100106, measures 370mm wide by 600mm deep by 855mm high and has a sedbuk rating of band a, it has an efficiency of 93.2%, where standard boilers only achiev .. This greenstar camray oil fired boiler, 7716100107, measures 370mm wide by 600mm deep by 855mm high and has a sedbuk rating of band a, it has an efficiency of 94.2%, where standard boilers only achiev .. This greenstar camray utility oil fired boiler, 7716100108, measures 370mm wide by 600mm deep by 855mm high and has a sedbuk rating of band a, it has an efficiency of 93.1%, where standard boilers onl .. This greenstar camray utility oil fired boiler, 7716100109, measures 370mm wide by 600mm deep by 855mm high and has a sedbuk rating of band a, it has an efficiency of 93.2%, where standard boilers onl .. This greenstar camray utility oil fired boiler, 7716100110, measures 370mm wide by 600mm deep by 855mm high and has a sedbuk rating of band a, it has an efficiency of 94.2%, where standard boilers onl .. This greenstar camray utility system oil fired boiler, 7716100111, measures 370mm wide by 600mm deep by 855mm high and has a sedbuk rating of band a, it has an efficiency of 93.1%, where standard boil .. This greenstar camray utility system oil fired boiler, 7716100112, measures 370mm wide by 600mm deep by 855mm high and has a sedbuk rating of band a, it has an efficiency of 93.2%, where standard boil .. This greenstar camray utility system oil fired boiler, 7716100113, measures 370mm wide by 600mm deep by 855mm high and has a sedbuk rating of band a, it has an efficiency of 94.2%, where standard boil .. This greenstar camray external oil fired boiler, 7716100114, measures 565mm wide by 780mm deep by 950mm high and has a sedbuk rating of band a, it has an efficiency of 94.2%, where standard boilers on .. This greenstar camray external oil fired boiler, 7716100115, measures 565mm wide by 780mm deep by 950mm high and has a sedbuk rating of band a, it has an efficiency of 93.2%, where standard boilers on .. This greenstar camray external oil fired boiler, 7716100116, measures 565mm wide by 780mm deep by 950mm high and has a sedbuk rating of band a, it has an efficiency of 94.2%, where standard boilers on .. This greenstar camray system oil fired boiler, 7716100121, measures 370mm wide by 600mm deep by 855mm high and has a sedbuk rating of band a, it has an efficiency of 93.1%, where standard boilers only .. This greenstar camray system oil fired boiler, 7716100122, measures 370mm wide by 600mm deep by 855mm high and has a sedbuk rating of band a, it has an efficiency of 93.2%, where standard boilers only .. This greenstar camray system oil fired boiler, 7716100123, measures 370mm wide by 600mm deep by 855mm high and has a sedbuk rating of band a, it has an efficiency of 94.2%, where standard boilers only .. This greenstar danesmoor wm 18/25, 7716100124, measures 600mm wide by 380mm deep by 880mm high, it has a sedbuk band "a" rating (92.6% efficiency), it is specifically designed for ease of in .. This greenstar danesmoor wm 18/25, 7716100125, measures 600mm wide by 380mm deep by 880mm high, it has a sedbuk band "a" rating (92.6% efficiency), it is specifically designed for ease of installation .. This greenstar camray external system oil fired boiler, 7716100126, measures 565mm wide by 780mm deep by 950mm high and has a sedbuk rating of band a, it has an efficiency of 93.1%, where standard boi .. This greenstar camray external system oil fired boiler, 7716100127, measures 565mm wide by 780mm deep by 950mm high and has a sedbuk rating of band a, it has an efficiency of 93.2%, where standard boi .. This greenstar camray external system oil fired boiler, 7716100128, measures 565mm wide by 780mm deep by 950mm high and has a sedbuk rating of band a, it has an efficiency of 94.2%, where standard boi .. This high-level balanced flue l/r rear kit, 7716190007, is a flue accessory for worcester bosch boilers. This low-level balanced flue l/r rear elbow kit, 7716190008, is a flue accessory for worcester bosch boilers. This low level discharge kit, 7716190011, is a flue accessory for worcester bosch boilers. This vertical balanced flue kit, 7716190013, measures 2542mm in length and is a flue accessory for worcester bosch boilers. This greenstar he oil vertical flue kit, 7716190019, is a flue accessory for worcester bosch boilers. This greenstar he oil extension flue kit, 7716190020, is a flue accessory for worcester bosch boilers. This greenstar he oil flue elbow 45 deg, 7716190022, is a flue accessory for worcester bosch boilers. This oilfit 80 /125 vertical balanced flue kit, 7716190032, is a flue accessory for worcester bosch boilers. This oilfit 80 /125 flue extension 1 m, 7716190033, measures 1 m in length and is a flue accessory for worcester bosch boilers. This oilfit 80 /125 elbow 90 deg, 7716190034, is a flue accessory for worcester bosch boilers. This oilfit 80/100 conventional flue adaptor, 7716190036, is a flue accessory for worcester bosch boilers. This oilfit 100 /150 standard rs flue kit, 7716190043, is a flue accessory kit for worcester bosch boilers. This oilfit 100 /150 vertical balanced flue kit, 7716190044, is a flue accessory kit for worcester bosch boilers. This oilfit 100 /150 flue extension 1 m, 7716190045, measures 1 m in length and is a flue accessory for worcester bosch boilers. This oilfit 100 /150 elbow 90 deg, 7716190046, is a flue accessory for worcester bosch boilers. This oilfit 100 /150 bends 45 deg, 7716190047, is a flue accessory for worcester bosch boilers. 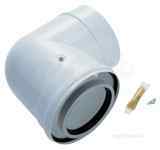 This oilfit 100 /130 conventional flue adaptor, 7716190049, is a flue accessory for worcester bosch boilers. This flue terminal guard stainless steel, 7716190050, is a flue accessory for worcester bosch boilers. 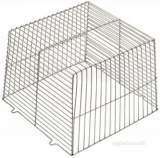 This flue terminal guard stainless steel, 7716190051, is a flue accessory for worcester bosch boilers. This oilfit vertical extension flue kit 80 / 125mm, 7716190053, is a flue accessory for worcester bosch boilers. This oilfit extension flue extension 80 / 125mm, 7716190054, is a flue accessory for worcester bosch boilers. This oilfit flue elbow 80 / 125mm 90 deg, 7716190055, is a flue accessory for worcester bosch boilers. This oilfit flue elbow 80 / 125mm 45 deg, 7716190056, is a flue accessory for worcester bosch boilers.